TULALIP – The 8-2 Tulalip Heritage Hawks lost again to rivals 9-0 Lummi Nation Blackhawks Friday night in a game that the Hawks led 17-8 after the first quarter. 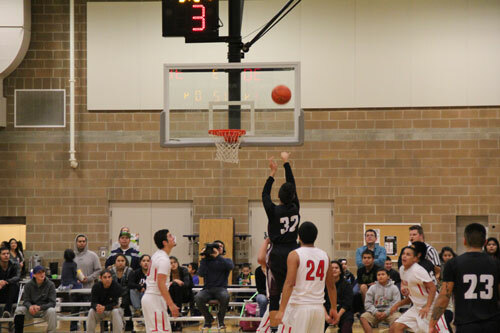 The Blackhawks used a full court trapping defense throughout the second and third quarter that forced the Hawks into making errant passes, resulting in easy transition buckets for the still unbeaten Lummi Blackhawks. With the win Lummi all but secures the number one seed in the district playoffs. 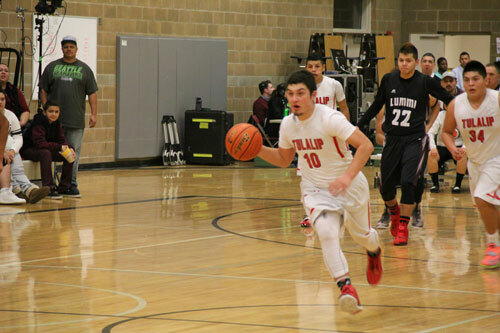 This entry was posted in Sports, Tulalip News and tagged Hawks Basketball, Heritage Hawks, Lummi Nation, Lummi Nation Blackhawks, prep basketball, Tulalip Heritage, Tulalip Heritage Hawks by admin. Bookmark the permalink.